In my very limited experience of Zander fishing (4 or 5 sessions) I've landed plenty on the lure but none on deadbait. I've had decent fish on, some for a reasonable time too but they not always been hooked effectively or they have managed to shake the hook. I switched from a thick'ish gauge circle hook to an off the shelf thinner gauge LYNX wire trace jobbie because I thought the circle hook might have difficulty penetrating the Zanders bony mouth.Danny Hale recommended I lift in the fish rather than strike which makes sense but again that didn't seem to help my hook-ups. Maybe I'm doing it wrong. Not for the first time I might add. With my mate Simon in tow and with the light reducing we called it a day and decided to pop to the local hostelry for a pint of UBU. I lifted the deadbait rod to feel some resistance and said to Simon,'no wonder there wasn't a touch on the deadbait, it's snagged'. This wasn't a snag though, because the snag was pulling back and I could see a half decent fish. The Zander had obviously grabbed at the roach on the retrieve the greedy git. Again the fish was on for 5 secs or so then, nothing, gone. I want to persevere with the single hook rings and not switch to a treble set-up just yet. The deadbait attracted the bigger fish, no doubt about that, all very frustrating as I'd have a reasonable PB by now. I'm learning though, that's what fishing is all about. 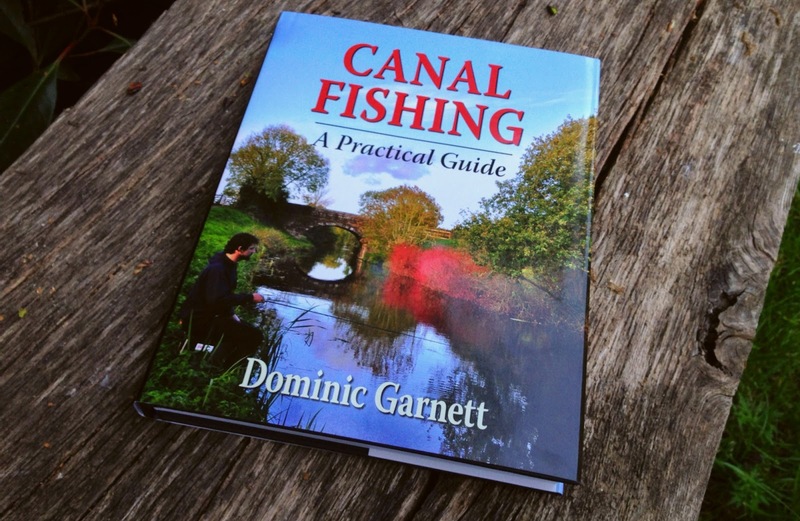 A modern canal fishing book, who'd a thought it. It's written by Dominic Garnet and it's a good read so far, with some great pictures, Jeff Hatt gets a well deserved mention and so does Keith Jobling who appears in the record list. I think I spotted an error in the Coventry Canal listing though ? I didn't fancy venturing too far Saturday morning, A belly full of South Indian Garlic Chilli chicken and various liquid beverages the night before my insides needed to be treated with kid gloves. I was in two minds two minds whether to go or not, I felt as rough as a badgers ****. So a particular stretch on the Grand Union Canal was ideal, predators in residence and with my car in view from the bottom of the lock where I was fishing, for any bubbly belly repercussions I could make a quick exit. 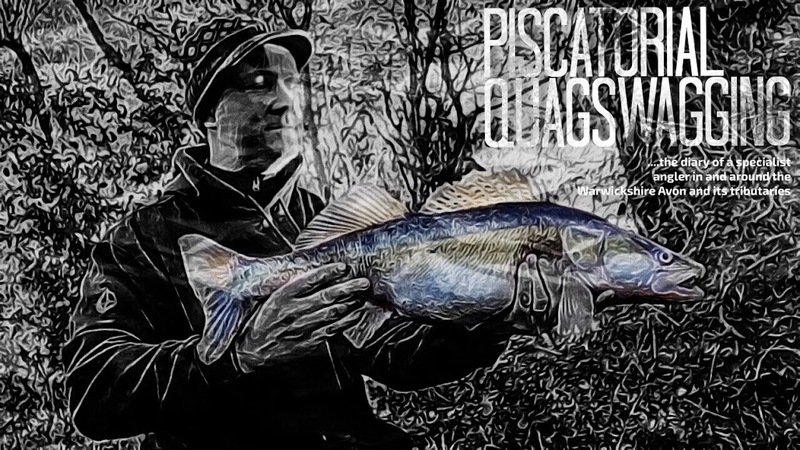 I had a sleeper rod out with a small roach deadbait and as I only planned to fish for a couple of hours I had my lure rod with me and a solitary Savage Gear 4play shad. In hindsight just one lure was asking for trouble considering the huge amount of snags to be found in the cut. 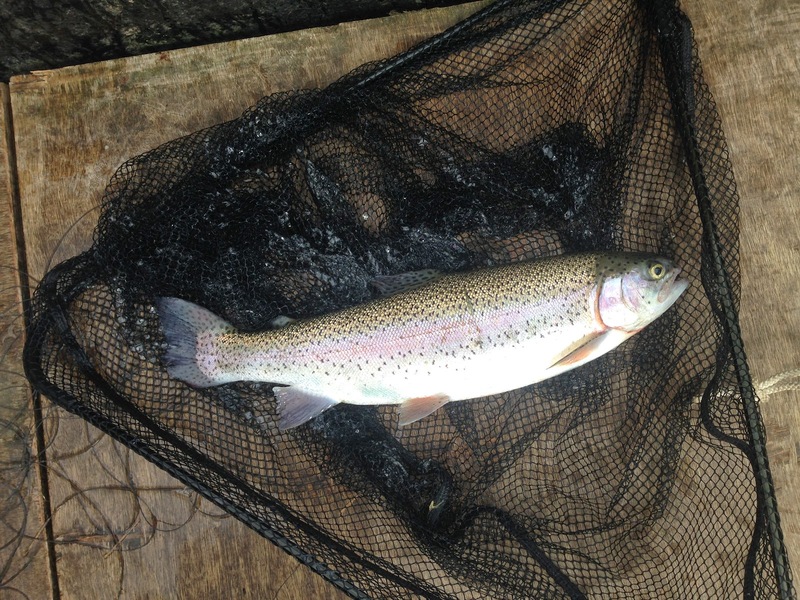 Anyway to the fishing with my first cast I hooked in to a fish, only a small schoolie but a nice start to the morning. Maybe the Gods were looking over me as my luck continued as a couple of very attractive girls who were walking their dog along the tow path, decided to use the lock paddles above me to pass from one side of the canal to the other. Luck you say, well yes because one of the girls was wearing a skirt so short there was every chance of a glimpse of the forbidden,being a betting man to be honest it was a dead cert. I'm a male, it's in my make-up. A few pleasantries were exchanged and upon passing with her topography in full view my day wouldn't get better surely ? Well nearly, but not quite. No big fish were landed but there was certainly plenty of them. I've fished this swim a few times now and never had a Perch but the next 8 or 9 fish landed were half decent stripeys that were shoaled up by a calm area of water near an overflow. 2 more small Zander later in 2.5 hours of fishing I had a pretty good return. 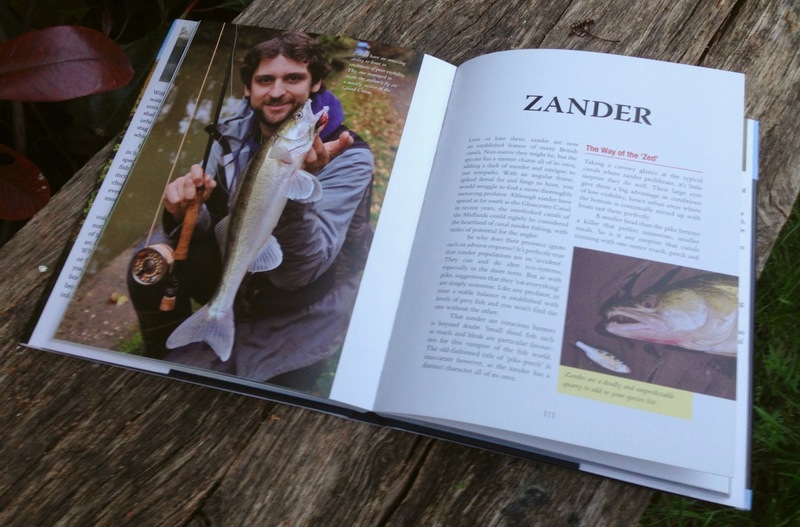 This week, well I'm planning to venture out one evening for Zander again but I'm also planning to try for a big crucian and if it's warm maybe some tenkara fly fishing for Roach. 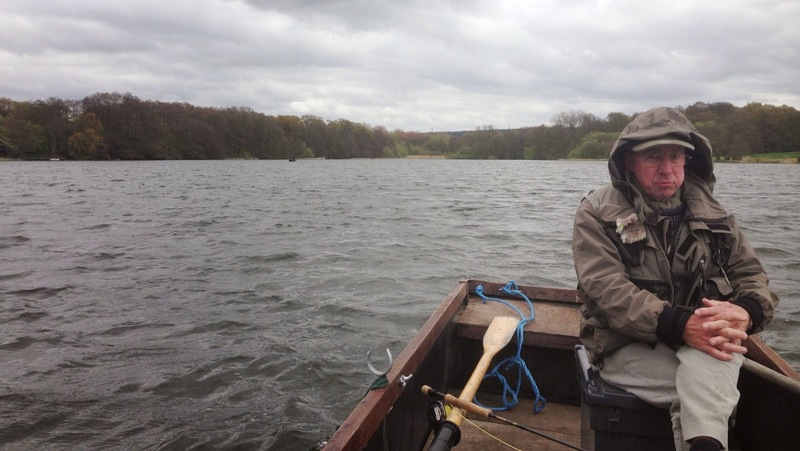 It's always nice to meet a fellow Blogger on the bank and during a relatively unproductive trip to a local reservoir last week I bumped in to Danny Hale of http://riveranglersgowiththeflow.blogspot.co.uk/. Good to see you Sir. 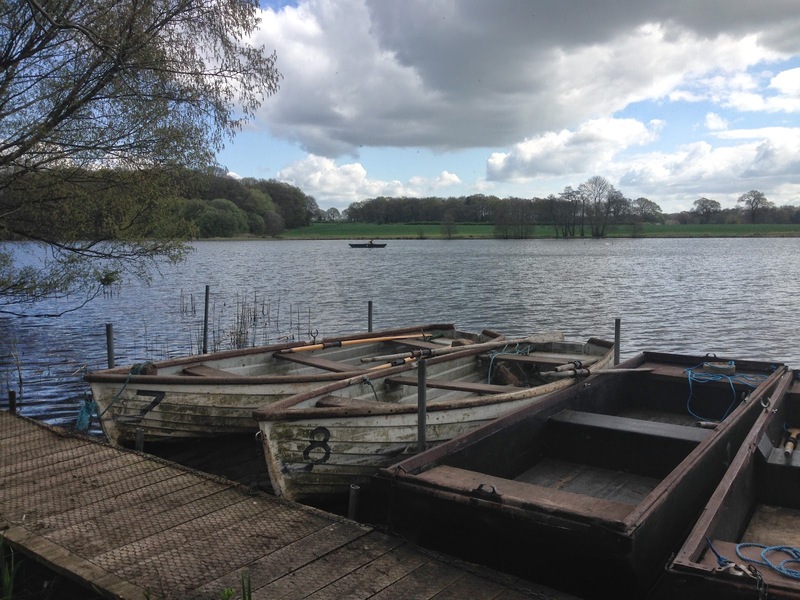 Saturday I found myself accompanying my father-in-law Sid on the 30 acre Great Pool at the Packington Estates trout fishery near Meriden where he is a member. It was a well over due belated birthday present and as Sid is an accomplished fluff chucker and willing to teach a novice I was looking forward to the day, The late Labrador, Ruddles used to be his boat partner so I had a lot to live up to. 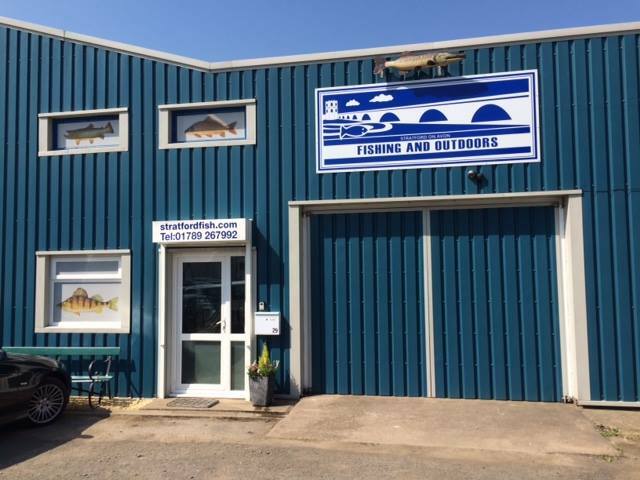 I'm a novice to the apparent 'noble art',the basics I know but more theory than practice.In-fact the last time I fished for trout was probably about over 30 years ago when I fished a day ticket trout farm with my Dad when we were on holiday. A day ticket for Packington for example buys me a years membership for Warwick and District Angling Association so it does price some people out of the market, then again the annual membership would still be far less than a season ticket for a premiership football team and it's diving prima donna's. You pays your money and takes your choice and all that however if you think about it, once you have the tackle I bet you wouldn't spend anything like you would do on coarse fishing tackle, rods and bait. It's my hobby and every man needs one but I dread to think how much I spend every year, just don't tell the Wife. Elitist ? 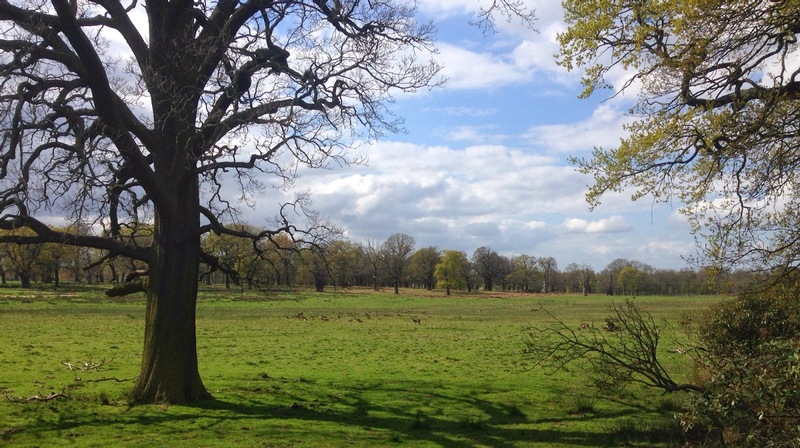 maybe the issue is available waters, apart from the odd stream and river that are stocked with trout via fly fishing clubs and the small amount of dedicated fisheries and reservoirs, living within Warwickshire you're a bit limited where you can fish for them. I prefer fishing flowing water, pools, lakes and canals I can give or take so if I could find a river within half an hour where I could fish in the coarse close season for wild brownies rather than fishing for non-native Zander in a dirty canal I'd be there like a shot. It's quite an exposed pool so chillier than I thought, a good day though. I won't go in to any details but I learnt loads and we ended up with 4 fish the biggest 3lb or so. The water was gin clear and it was nice to play the fish and being able to see the fight, I'm looking forward to the next time, just need to try and find a space in the father-in-laws stupidly busy diary. Cheers Sid. I joined a friend of mine Simon who was fishing the cut for an hour or so yesterday evening, having only managed to catch small Zander over the past couple of sessions I decided to have a change of tactics. I upped the savage gear 4play shad size to 11cm's and had a sleeper rod out with a small roach deadbait with the head cut off on a simple running rig. Single hook rigs for Zander seem to be successful so I used a Gamakatsu G-Point Circle Hook (GP407). The previous last two sessions I never had a touch on the deadbait but today it was the complete opposite as I had 6 runs, hooked 4 Zander and landed 0. All 4 were on for what seemed a decent length of time and yet all managed to lose the hook. One was half decent too and put a nice bend in my 1.75TC rod. Any tips welcome as I'd rather not switch to size 8 trebles just yet. I'm new to Zander fishing but they certainly have tough bony mouths so maybe a stiffer rod would be better as would be a harder strike, maybe I didn't set the hook properly. I've certainly found a so called Zander hotspot because in around 3 hours fishing this particular swim I've hooked, lost and landed more Zander than I have fingers. The issue I can see is the size of the fish in this area, there is no doubt biggun's here, I've seen the pictures. But it looks like you need to get through the countless greedy small ones, find the lone bigger fish that don't like to socialise and work out the diural feeding patterns with time on the bank. I've give it a couple more goes on the cut before switching species but when the new season is with us I'll definitely try for them on the Warwickshire Avon. You are always learning when fishing, no doubt about that. Strange what you find on the net...you could almost cook it bankside. An historic disbanded British waterways recipe by the looks of it and enjoyed during their wholly unsuccessful Zander cull. Fry a teaspoon of black mustard seeds in some oil, then fry 18 oz's of boat diesel and brown trout infused Grand Union Canal Zander till coloured. Add the sauce, some 2" chunks of capsicum and a cupful of water. 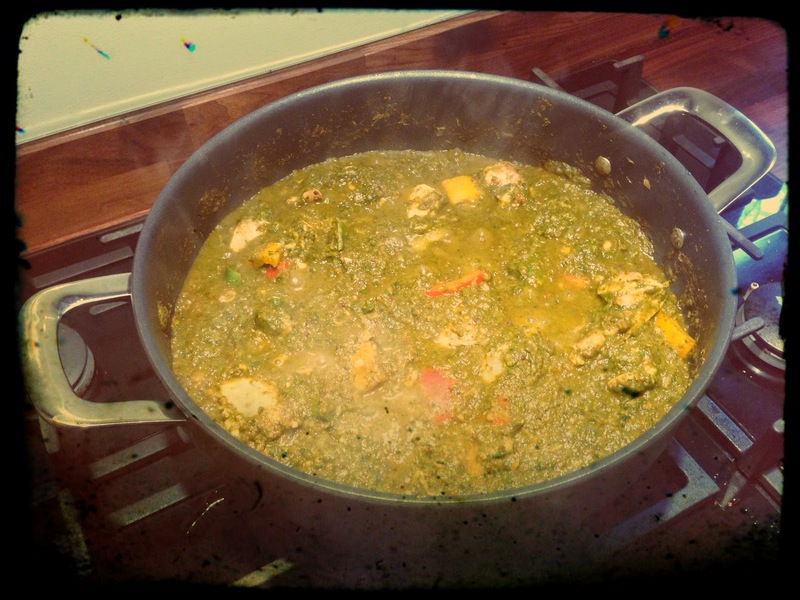 Simmer for 25 minutes. Serve with some basmati rice and a side of Andrews liver salts. Lee from http://thisanglinglife.blogspot.co.uk/ was right Zander, Zander, Zander was all I could think about this week and especially as I was given some information about the possibility of some huge ones in a particular short stretch. This time I planned to use two rods, a float set-up and my lure rod which was successful last week. With another two miles of the Grand Union Canal to cover I moved along the towpath, placed the small dead roach deadbait under the small pike float secured by a single circle hook into some likely looking fishing holding areas and then work the lure in and around the swim. Ten minutes without a fish I'd move on. This stretch was dark moody and largely devoid of any features, there was the odd fish moving around but looked lifeless. I know the bigger Zander are likely to be more active at night but as it was an overcast morning I thought if there were some fish in this stretch I'd hopefully hook in to one of them. I alternated between lures, the smallest a fiiish minnow and the biggest a fire tiger shad 5.5" long. After a biteless 2.5 hours and having walked the whole stretch for the final hour I decided to drive back to the spot where I caught my 1lb 15oz PB ( you have to start somewhere ) last week. The car-park is handily a stones throw away from the swim I wanted to fish so after arriving at the spot within 5 minutes I was fishing. I'm certainly glad I made the move because within an hour I caught 6 Zander, upped my PB to 2lb 1oz and lost a much much bigger fish at the death that bumped the hook. Promising indeed. Strangely not a touch on the deadbait, all on the small minnow lure. As the evening are lighter I might give a couple of short sessions a go. Make hay and all that. The Grand Union canal is 137 miles long and Sunday I fished around 2 miles of it. I don't like to travel far for my fishing and today was no different, 10 minutes door to door, I'm certainly spoilt for choice where I live. The well kept banks and paths look like they are part of a pensioner’s pastime, complete contrast to the Stratford-Upon-Avon canal I’ve fished where a mountain bike is a must and so is a tetanus jab. Having never fished it before I decided to have a rove around with just a few lures to try and catch a Zander that are known to reside within the cuts murky depths. Rod was a slightly over-gunned, a 8ft 6lb Savage Gear Bushwhacker with an Okuma RTX30 spinning reel. Unlike many of the local Coventry bloggers I’ve never caught a Zander so a fish caught would be a bonus and a PB. The first cast I made was around a lock mouth, I felt the lure drag the bottom and then hook up on something that gave some solid resistance, not a fish but when it surfaced it was a manky shoe, not a great start. As I was unhooking the shoe a Carp launched itself clear of the water, looked a double too and at least confirmed there was some fish in the vicinity. Canals have plenty of features and that’s the areas I targeted. The method I used was to cast out, allow the lure to hit the bottom and then with the rod held at 45 degrees with the tip chattering to indicate direct contact with the lure I slowly retrieved it. 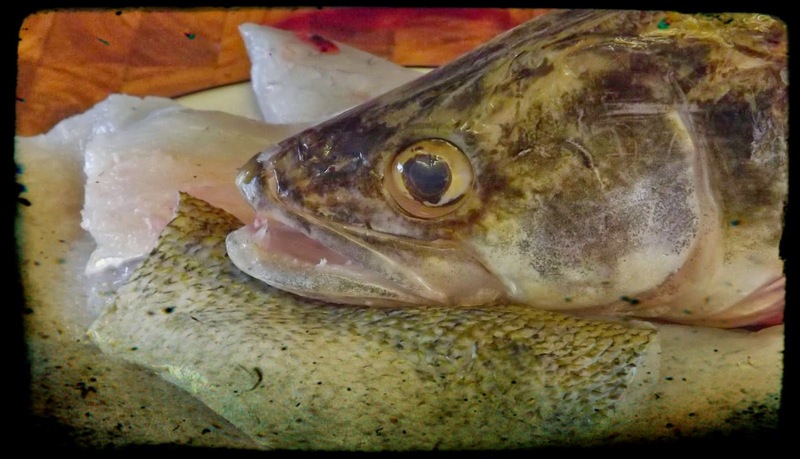 Frequent jigging of the rod gives the lure more visual interest. I tried a few lures and for a couple of hours or so I didn’t have a knock, the water clarity seem to worsen from when I started so I switched to a small lure with a firetiger pattern. That was the change that was needed because after a few grabs of the lure after a few retrieves a fish grabbed it. It was a small Zander too, only 10oz’s or so but not having caught one before it was a PB. I was off the mark. The canal was teeming with wildlife, kingfishers, swans, moorhen, coots and mallards, it’s a nice environment. The canals pounds look interesting and I might give them a go in the future, a couple of them look the size of Meriden village pond. After a two mile walk and only one Zander caught I proceeded to return to where I started. About a mile in to the walk back the canal appeared darker, the boarding mature trees helped but the sky was noticeably duller. Again casting in to the lock mouth I felt a couple of knocks, it didn’t feel like catching bottom and a second cast a fish hit the lure and the line was being dragged around all over the shop. It certainly felt like a decent Fish but when it broke surface it was smaller than I thought. However at 1lb 15oz and only the second Zander I have ever caught the schoolie was still a PB. As a reccy session it went pretty well but I think when I fish for them again I might try some of the small Roach deadbaits I have in the freezer and fish in to dusk. I might badger a mate to join me as even though it’s not known as a dodgy area I don’t like the idea of fishing the canal towpath in the dark. It’s not a busy stretch of canal either, that’s a bonus. I was the only one fishing too, maybe there is a reason for that, only bank time will tell.